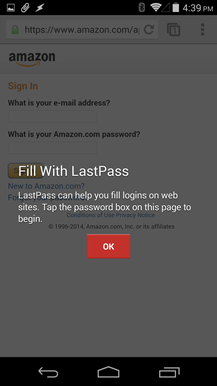 Few -if any- password managers have gained a following quite like LastPass. It's secure, extensively cross-platform, and easy to use. 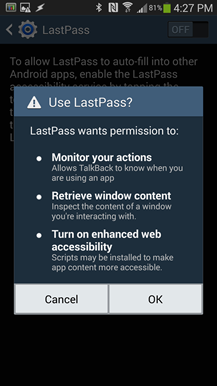 When up-and-coming competitor PasswordBox hit the scene last month with the ability to insert login credentials directly into native apps, it left many LastPass users anxiously requesting the same feature. 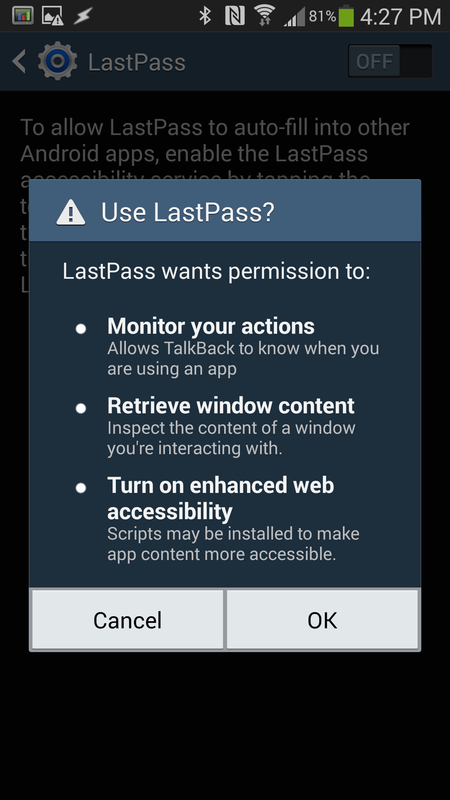 The wait is finally over as LastPass for Android has been updated to enable automatic fill-in for apps and Chrome. 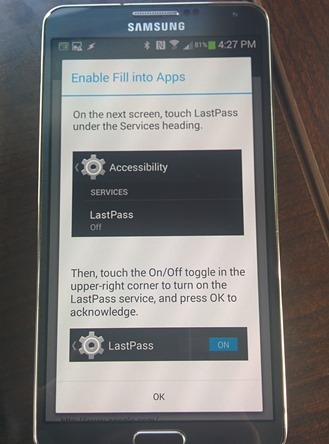 Like PasswordBox, LastPass is using the Accessibility Services API in Android to enable automatic fill-in. 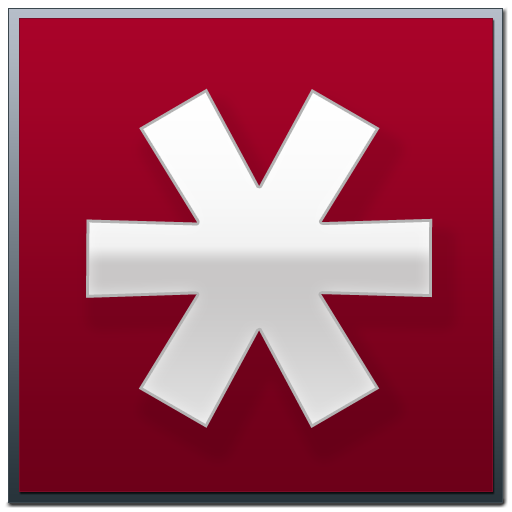 Each app gets a mapping between your data and the text fields to ensure account names and passwords go into the right places. Most popular apps already have mappings that are automatically downloaded to match vault entries, but it's easy to create custom mappings for lesser known apps. Among the other small bug fixes and improvements, this version also expands the maximum PIN length to 12 digits. 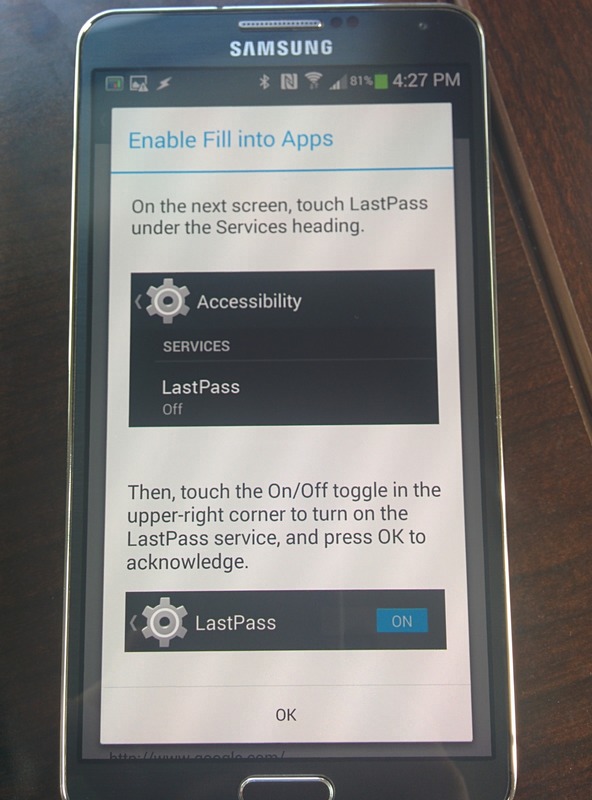 If you're already a LastPass user, just update the app and you're ready to go. 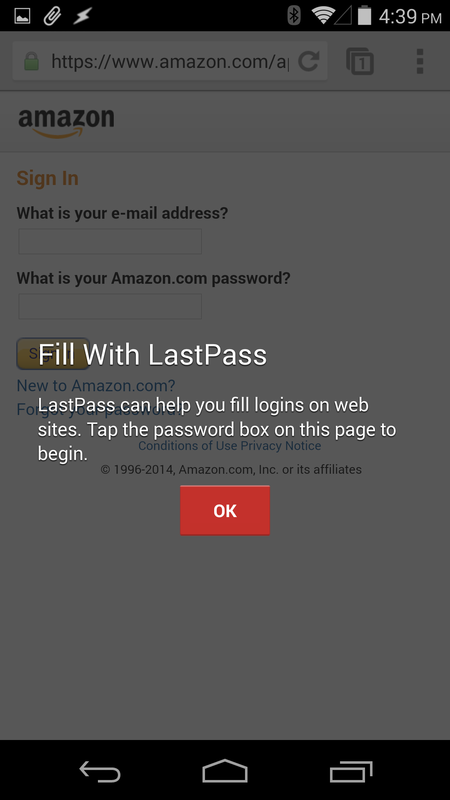 If you've never tried LastPass, it's $12/year for a premium subscription and there is a 14-day free trial. 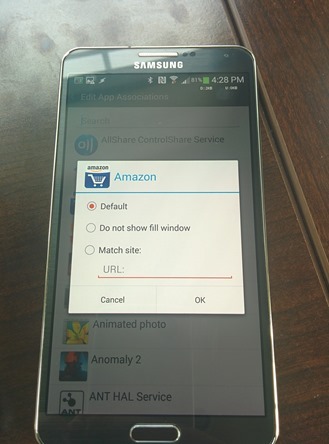 New: Fill into apps (Android 4.1+) and Chrome (Android 4.3+). New: App associations automatically downloaded, to help match apps to vault entries. 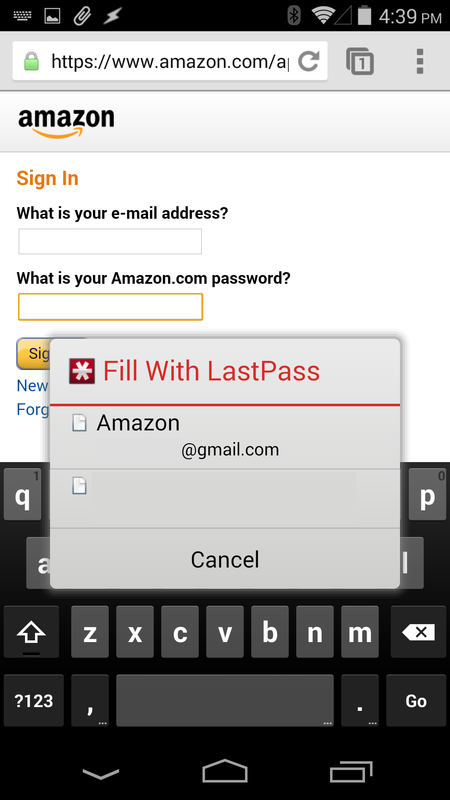 Updated: Input method now uses app associations to improve matching with vault entries. Updated: You can now use a PIN up to 12 digits long. Fixed: Closed tabs getting reopened in browser. Fixed: Stability and usability improvements.